At the top of your Norton product window, click Help > My Norton. If you cannot start your Norton product, you can directly go to your Norton account. Log in to your account, if prompted. In the My Subscription tab, select your Norton product. For more information on activating your Norton product, read Activate or renew your Norton subscription. If you have purchased your product from Hong Kong Online Store, read How do I find the product key for the Norton product that I purchased from Hong Kong Norton Online Store. In the main window, click Help. In the Help Center window, under Account Information, click Enter Product Key. Type in your product key, and click Next. 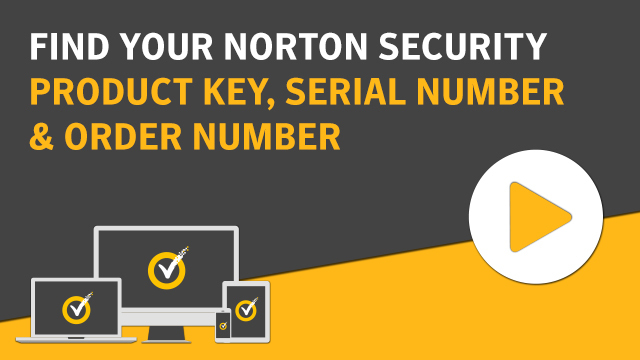 You can find your product key in your Norton account, in the order confirmation email, or on your Product CD or retailer's card. If you need help locating your product key, read How to find my Norton product key. Review your subscription details, and then click Done. If your Norton product came installed on your computer, check your My Documents or Documents folder to see if there is a Symantec folder. You may find a text file there with your product key (examples: Norton 360 Key.txt or Norton AntiVirus Key.txt). If your product came with a one year or longer subscription, you can contact your computer manufacturer to get your product key . Some computer manufacturers may provide the product key on an activation card. For more information read I want to install my Norton product from my service provider.